Resonance Control Device Ever Designed! The sticky gels make a mess and don't last. DrumClip focuses on the over ring without losing the tone. DrumClip is Simple, Effective, & Versatile. 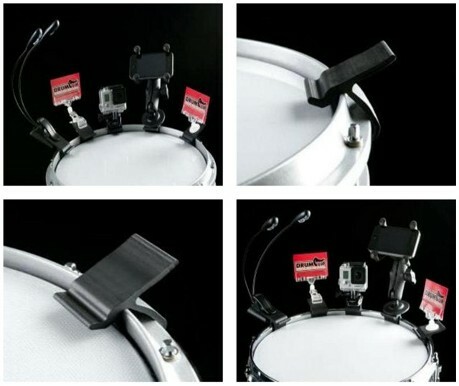 DrumClip Accessory Adaptor Allows You To Easily Mount Your Accessories To The Rims Of Your Drums! 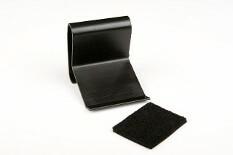 It Can Be Used With Compact Video Camera Attachments, Cell Phone Attachments, Microphone Clips, Sheet Music Holders, R.A.M. Mounts & More! DrumClip in no way endorses or is affiliated with the products attached to the Accessory Adaptor. 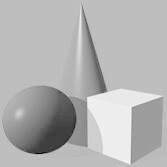 DrumClip is only showing how you can attach these products and more to it. 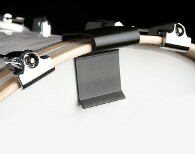 The NEW Bass DrumClip that attaches to the bass drum the same way the Small and Regular DrumClips attach. A felt pad is included and can be adhered to the the flat surface of the Bass DrumClip if desired. Rancho Cucamonga, CA 91729 U.S.A.